Using Facebook to reach more members of your target audience just makes good business sense. Rather than simply rushing into it without a solid plan, though, your resources are better spent developing a viable — and measurable — strategy that will return the numbers you want as well as the information you need to chart your future course of action. Facebook data benchmarking is a robust method of determining what actions that your business is taking are working. As Forbes noted recently, a Facebook data benchmark tool has a two-prong purpose: to analyze data and provide a goal for such analysis. Learning which of your efforts is netting you the goals you envision helps you know where to funnel your resources. 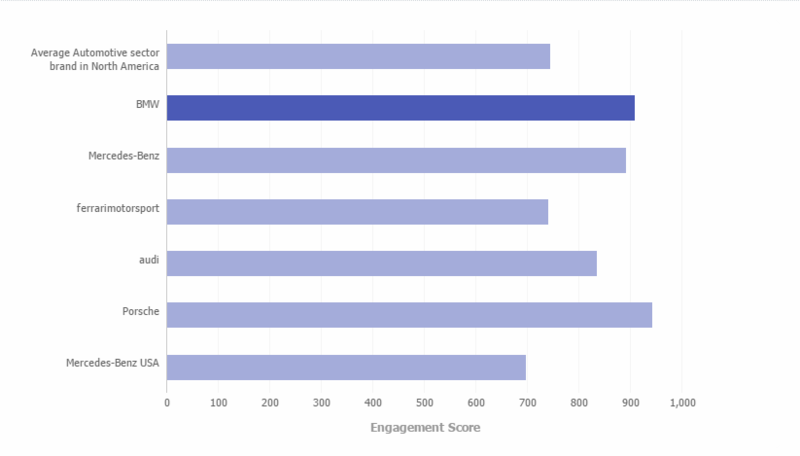 Using Facebook data benchmarking also allows you to measure your social performance against the industry standards. If you determine that some of your social metrics are below the industry standards, you can make a plan for bringing them up to speed. Unmetric gives users the access to the social media performance of over 30,000 brands across 30 industries covering the major social networks. Stats such as engagement, views, retweets, campaign performance can be benchmarked not only against your direct competition but also to the industry average. Unmetric is a social media intelligence and benchmarking platform that includes a Facebook analysis app that allows businesses to easily assess their social media goals. By taking the objective data that it delivers, you can see if you are meeting your goals when it comes to bounce rates, growth rates, customer service metrics, engagement rates and more,when compared to others in your industry. This is a vital distinction because comparing your own data against itself might not provide you with very much insight when it comes to reaching your goal. Businesses need to listen to their customers. This is a fact that has not changed over the years. What has changed, though, is how that listening occurs. Whereas in the past a business could ask their customers in focus groups if their efforts were meeting their needs, these days it is not as easy to engage in face-to-face interactions. Instead, using conversation chatter on your Facebook business page allows you to gather intimate data about your customers and use measurable points to paint the bigger picture of your success as well as use that Facebook data to benchmark your business against the industry. 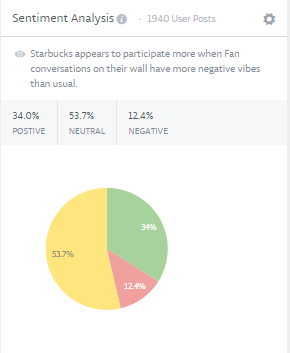 Unmetric gives users access to the sentiment of all the fan interaction a brand has. Easily understanding where to improve. While a Facebook data benchmarking tool provides you with plenty of data when it comes to how your business needs to improve, it can also show you were you excel — which might come in handy when it comes to presenting the results to your boss or client! It can do this when compared to your competitors as well as when compared to certain aspects that you change on your website. Of course, you want to do more of what you are good at, but you need to know what that is first. What you might see as your strong points could be vastly different in your customers’ eyes. Providing them with more of what they want helps ensue they will come back for more. Using Facebook data benchmarking like the module found in Unmetric’s social media intelligence platform puts real and meaningful data right in your hands. It also provides a way for you to analyze the data and apply what you learned — all for the betterment of your business. Click below to take Unmetric for a spin.